The very first and valid questions is, "Is psoriasis curable at all?". Traditional (allopathic) treatment system has no definite cure for psoriasis; homeopathy and herbal systems have the capability. 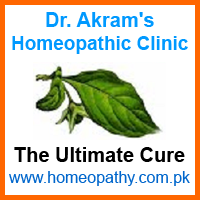 Homeopathy has good number of medicines to treat psoriasis. With all its horrible look, psoriasis is a stubborn disease no doubt and not easy to treat. In few cases it might yield quickly but usually it takes long time for noticeable improvement, may be months or even longer depending on how deep seated it is. The person whose pictures have been shown was cured up to about 90% in about two months. Legs, palms, soles and back became nearly normal. After three months all that remained was dry skin and few isolated scaly areas on lower back, which could not be cured. These pictures belong to one person taken on the same day before treatment. Arsenicum-album, Arsenicum-iodatum, Borax, Carbolic-acid, Graphite, Hydrocotyle, Kali-bromatum, Lycopodium, Mercurius, Petroleum, Sepia and Sulphur etcetera but every medicines cannot be used by everyone. The choice would need matching of symptoms. – Avoid beef, eggs, cinnamon and clove in any form. – Intake of black tea must be reduced as much as possible. – No coffee at all. Patients of Psoriasis taking coffee would seldom see the improvement. – Any cut or wound however small, should be treated immediately to prevent developing a new psoriatic spot. These preventive measures are not exhaustive by any means. A lot may be added depending upon condition of the sufferer.